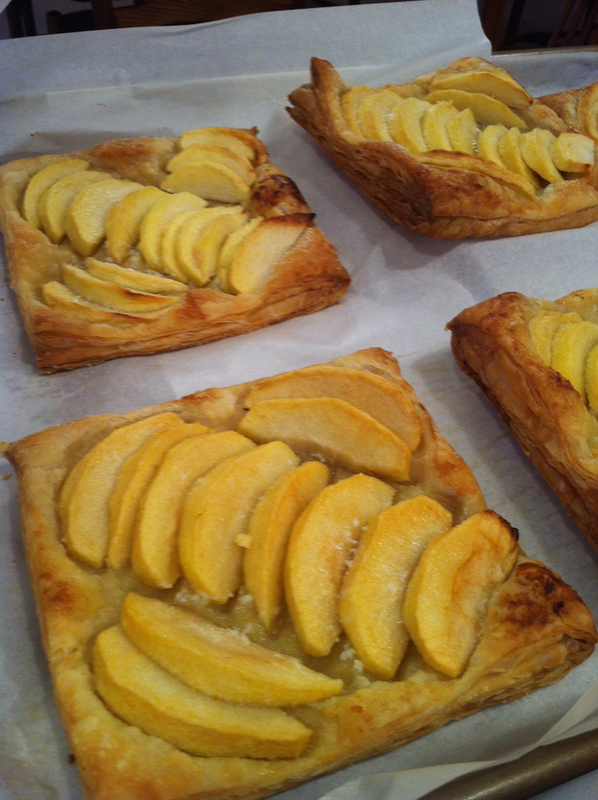 Reminiscent of an apple turnover, these tarts are the perfect balance of sweet and tangy, with a tender, flaky crust. These are a stunning dessert, but incredibly easy to make. I added a hint of cinnamon to these, but if you love cinnamon flavor add a bit more. Cut the sheets of puff pastry into fourths, so you have 8 squares total, and spread them out a bit on the prepared baking sheets. Layer the apple slices diagonally on each square, adding one or two slices to the other corners (see picture), so that most of the pastry dough is covered. Sprinkle each tart with about 1 Tbsp sugar, then dot 1/2 Tbsp of butter on top of each tart. 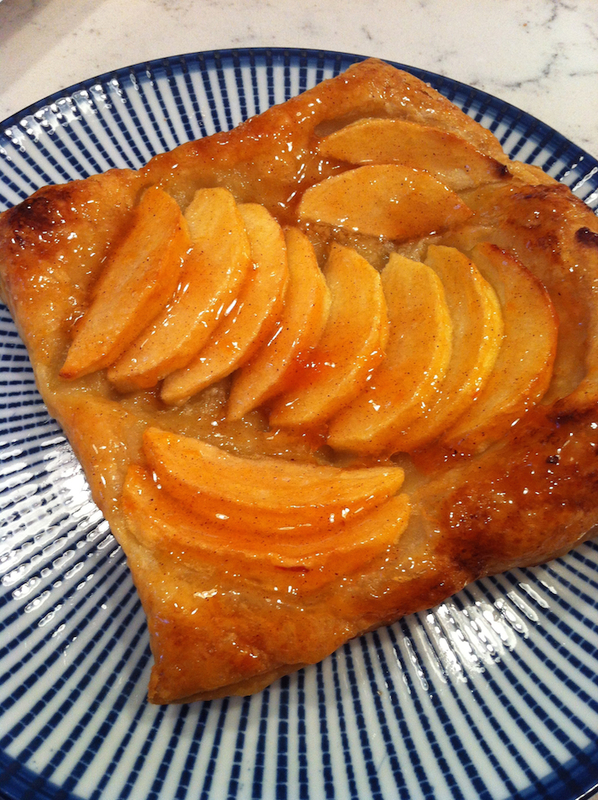 Bake the tarts for about 20-30 minutes, or until the pastry is puffed and golden. Remove the tarts and allow them to cool on wire racks (just shift the whole parchment paper to wire racks). In a small saucepan, heat apricot jelly, water, and cinnamon. Allow mixture to boil for one minute, then remove from heat. Brush pastries with apricot mixture, and serve.